Changing the way we live and altering our daily lives is a big step. Many of us look with awe and intimidation at the established eco-villages with gardens bursting with produce and cohousing communities expertly designed with architects. If we could transport ourselves right in place in our new home, we would. But whether we are joining a community or creating one, the steps to making that life a reality take work. I went through a process of learning on my way to readiness. A very wonderful process of reading books, meeting people, and seeing places which changed my assumptions about what I really needed and what was most important. Over time, I realized what mattered to me most was not a private house, but the chance to be outside more of my day. And that I didn’t need to choose my neighbors based on having all the same interests as I do, but instead on their desire to be in a community. At the beginning, there were so many questions. With all the barriers, is this possible? How does the group planning process work? Am I being realistic about what I want? How do we agree on a plan, or even have enough meetings to talk about a vision! Visiting and being welcomed by other communities answered the question that this is possible. The people living and building communities in Southern California are inspiring! Also learned that the process is different for every community, and it’s more about the bonds and communication within the group than any external factor. I didn’t know that it would take me 2 years to decide I was REALLY ready. It took many nights of writing in journals and asking myself the questions in Diana Leafe Christian’s books. Many conversations in groups where we could think out loud and see how our ideas sounded. And many events hosted by like-minded organizations, where I could see the connections and strength of these many groups with values that support community. After lunar new year celebrations with friends, I joked that since it is now the Year of the Rooster, it means it will be the year I will realize that idea of the community with the chickens in the yard. 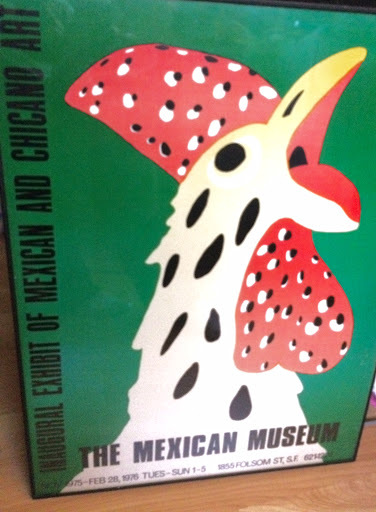 Another friend promptly gave me a poster of a rooster from her home, so I hope that means I am on my way. I feel so grateful that I have been able to meet my coworkers, neighbors, organizers, leaders, and artists that have been part of this journey. I can’t imagine living any other way but in community, so I will keep learning and pushing forward. ← At Home plans – we need you!